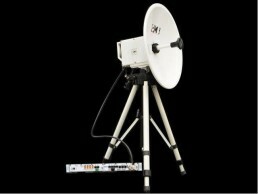 The DMWL 1000 model is our microwave link designed for signal transport with a capacity up to 2Gbps. Up to 2Gbps aggregate capacity. Available channel bandwidth: ETSI standards 7/14/28/40/56/80/112MHz; ANSI standards 10/20/25/30/40/50/60/80/120MHz. Up to 1Gbps throughput over a single channel at 1024QAM. Customer network data interface: 3 x RJ Gigabit Ethernet (100/1000 base-T), 4 x SFP (1000 base SX/LX). Two USB ports for connecting USB-flash disk or PC. Support of RADIUS server authentication for users remote access. FEC: Forward Error Correction with RS coding. Hitless and errorless adaptive coding & modulation (ACM) with dynamic capacity allocation and priority data transmission (PBPS: packet based priority system). Online Ethernet packet compression with reduced length of frames allowing throughput efficiency increase up to 25%. NAT, PROXY ARP support for effective IP management setup. 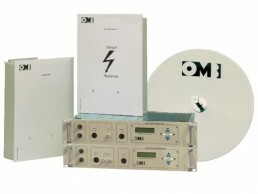 Large range of system and Ethernet counters. Built in network management system (NMS): http, https, SNMP v1/2/3, TELNET, SSH. Built in bit error rate (BER) tester and built in spectrum analyzer. AES-128/256 encryption for data confidentiality optional.